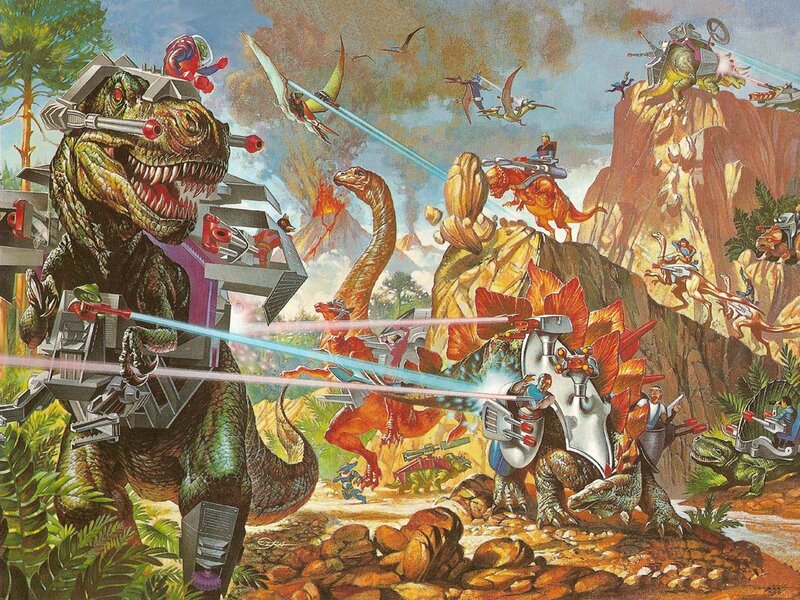 Use your awesome "Laser Dinosaur" to defeat ever increasing hordes of aliens. How far can you go? To help you, you have the option of 4 very powerful upgrades... but you only get one! Did I mention your Dino is in a rocket hoverboard? AWESOME! WASD or Mouse: Move the LASER DINOSAUR around. - Other small quality-of-life additions. Really funny game. I think the bullets could be bigger to get better visual effect. Great job! Really liked the idea and very fun to play. Good graphics too! OK, this was hilarious! I enjoyed my dino-hoverboarding session immensely. You caught the theme spot on, only one powerup :D My favorite was the shield because I lasted longerst with it. The lasers could have been bigger though. As a dinosaur fan I loved the rawr! Nice dinosaur! Too easy to die. Graphics are awesome! But I found that the multi-shot bullet is quite hard to recognize. Mega Beeeeam! The contrast of the game is bad for bullet recognizing, otherwise fun little game. Hemuuuli: Thanks, you're right. I will work on the background colors too! Fun game, had a bit trouble seeing the enemy bullets as they are a bit small. This is a funny game. :) I liked so much the graphics and sound. I like the nice graphics, the great sound effects, especially the rawr, and the options in the game menu. Your game has everything that's needed, except a boss fight. Great game! I also think that the bullets should be bigger. Most of the time I got killed was because enemy bullets are not easily visible. Making them bigger or using different distinct color would be really helpful. Music and gameplay are ok though. Retro goodness! I dominated with the multi-shot! I wish that enemy bullets were easier to see. When I start to think of constructive criticisms, I have to remember one guy did all of it!! Then it's super impressive! The dinosaur's hitbox is big as hell. SICK music! A shocking number of people didn't have any music, so a groove this fine was very welcome. That was a nice game. Playing easy indeed was a bit too easy. I like the dinosaur roar at the beginning. I played on Android and your finger sometimes gets in your view. Good thing you changed that. Hola, we finally found some time to make a Linux build, if you want to try it out, you're welcome ! The game works on Linux. Cute game! The mega beam was the easiest, because you need so many shots to kill most enemies with the other weapons. The controls are jittery, the dinosaur wouldn't always stay in one place or go where I wanted. It's kinda difficult to see the bullet shoot horizontally by the ground units.